March brings longer days! Don’t forget to set your clocks on March 11th as we spring forward one hour to gain a little more time for fun in the sun. If you are looking for something a little different to do this St. Patrick’s Day, check out My Virtual 5K Run. This virtural run starts on March 5th and ends on March 31st. You choose the location and set your own pace. This race to the gold allows you to be fit and stop for that green beer whereever and whenever. Better than new construction! Beautiful home with 5 bedrooms, 3.5 bathroom, loft, screened lanai, designer details and much more. All for under $300,000. Just click or tap image for full details. 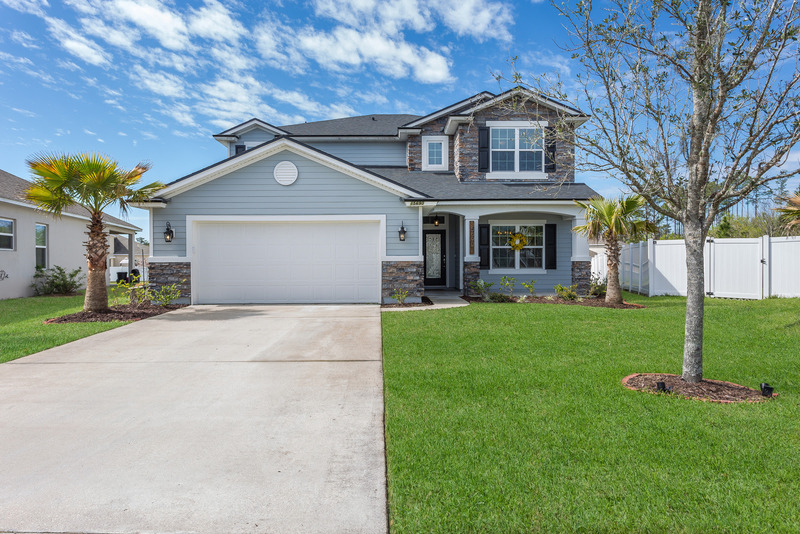 If you have any questions about the above home or if we can help you with your real estate needs, please don’t hesitate to call or text Linda at 904-504-6717 or Carol at 904-962-7044. You can also visit our website at: www.DolanRealEstateGroup.com. Place the corn in a medium pot, cover with water and a pinch of salt and bring to a boil. Once boiling, cook another 2 minutes or until easily pierced with a fork. Drain into a colander and set aside. While the corn is cooking, set a large skillet over medium-high heat and once heated, add in the bacon. Cook for 5-7 minutes or until crispy and then transfer to a paper towel lined plate. Pour out half of the bacon grease and immediately add in the zucchini noodles. Season with red pepper flakes, garlic powder, lemon, zest and cook for 3 minutes or until cooked to your preference. 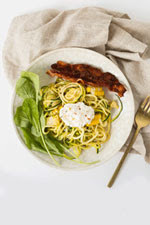 Shave the corn into the skillet with the zucchini noodles. Toss to combine and then divide into bowls. Top with equal amounts of ricotta, seasoned with fresh cracked pepper, arugula and bacon and serve. Begin incorporating small doses of outdoor allergens into your diet. While it may seem counterintuitive, consuming small amounts of substances like locally sourced honey, basil and other herbs, or jasmine and chamomile tea will help your body develop a tolerance to the allergens prevalent in your area. Reduce your intake of dairy products. Dairy may increase your production of mucus, which can amplify your discomfort if you are already congested due to allergies. Instead, swap out the dairy products for anti-inflammatory choices, like fruits and dark leafy greens. Pay attention to pollen counts. Check the internet or a local news station for the daily pollen count in your area. Above-average levels will trigger allergy symptoms, so be sure to avoid spending time outside as much as possible on days when counts are high. In addition, going outside later in the day is usually better as many trees pollinate in the morning. Dry, windy days may also cause excess irritation—it is best to spend time outdoors after it rains and some of the pollen has been washed away. Take a shower after being outside. Pollen may accumulate in your hair, skin, and clothing, and tracking it indoors will exacerbate your allergic symptoms. Minimize this effect by quickly getting changed, washing your clothing, and taking a shower once you come inside, as well as washing your linens at least once a week. Downsizing—or the process of moving from a larger home to a smaller one—is a major life transition that many people of all ages undergo. 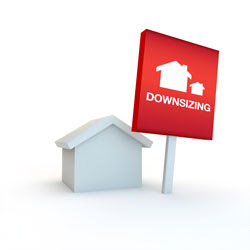 Downsizing may be necessitated by financial concerns, or it may be chosen due to a change in circumstances, such as moving in with a significant other, retiring, relocating from the suburbs to the city, or just being enticed by the simplicity of a smaller home. Regardless of the reason, the process of downsizing may evoke mixed emotions, like stress and sadness alongside excitement and relief. Start paring down your belongings as early as possible. Since downsizing typically involves moving to a home with less storage space, getting rid of furniture and personal possessions is one of the most important—and most daunting—steps in the process. As your moving date approaches, the pressure may cause you to hastily toss things that you wanted to keep. The key to avoiding this is to begin the long process of sorting through your belongings as soon as you make the decision to downsize. Divide your possessions into clear categories.As you decide which items will make it to your new home, it may help to categorize them by items that you must keep, those that you would like to keep but could live without, and those that you are willing to sell, throw out, or donate to charity. As you make these difficult decisions, ask yourself what you would take with you if your home were threatened by an encroaching fire and you only had 30 minutes to pack your possessions and leave. This will help you quickly discern which items are most important—and which could be replaced once you are settled in your new home. Use technology to preserve memories.Taking a picture of items with sentimental value—such as old photos or letters—will help you preserve them in perpetuity without having to haul the hard copies along on your move. Ensure that the pictures you take of these items are properly saved on a cloud-based storage system in order to minimize the risk of losing anything. Choose furniture and other objects with multiple purposes.Living in a smaller home requires that each item that takes up space should serve as many functions as possible. For example, look for tables with drawers and cabinets underneath, sleeper sofas, or ottomans with removable lids that reveal storage space inside. Measure the dimensions of your furniture.If your new home has smaller rooms, your existing furniture may seem oversized and cause the room to feel crowded. Knowing the exact dimensions of your furniture as you embark on your home search will help you plan the layouts of your new rooms—and get a better idea of how much you really need to get rid of. If you are overwhelmed, consider working with a professional organizer.Downsizing is a big step, and consulting an experienced professional will help you sort through your possessions—and the emotions tied to them—so that you can have an easy transition and happy lifestyle in your new home.